Here is a F-106 being towed by a C-141A as part of a NASA experiment. 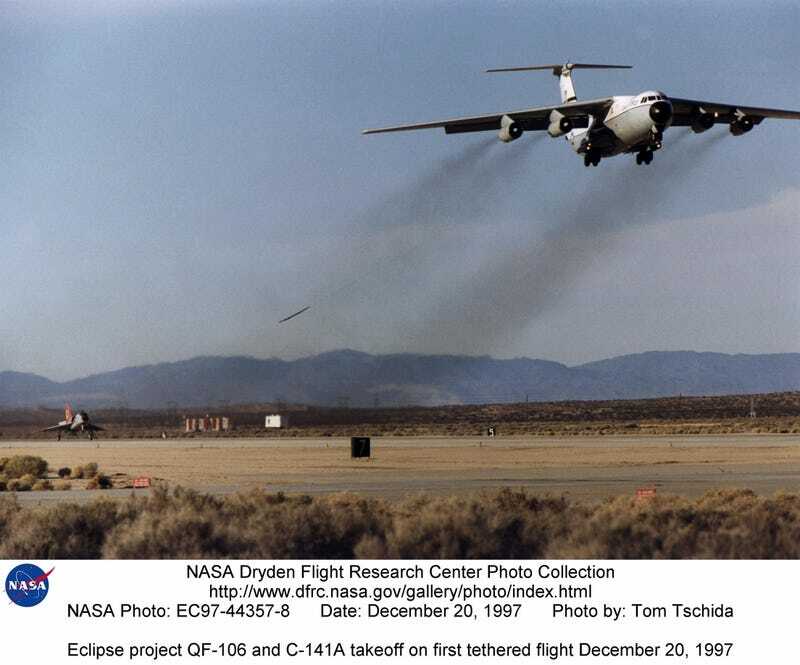 The intent was to test to see if a delta winged rocket could be towed to altitude by a transport category aircraft. It worked, but you had to be careful.